Extreme temperature events are known to favor large wildland fires. It is expected that fire activity will increase with changing climate. 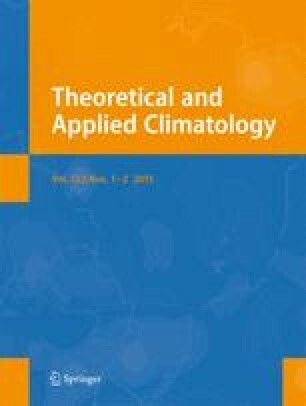 This work analyzes the effects of high-temperature days on medium and large fires (those larger than 50 ha) from 1978 to 2010 in Spain. A high-temperature day was defined as being when air temperature at 850 hPa was higher than the 95th percentile of air temperature at that elevation from June to September across the years 1978–2010. Temperature at 850 hPa was chosen because it properly characterizes the state of the lower troposphere. The effects of high temperature on forest fires were remarkable and significant in terms of fire number (15 % of total large fires occurred under high-temperature days) and burned area (25 % of the total burned area occurred under high-temperature days). Fire size was also significantly higher under the 95th percentile air temperature at 850 hPa, and a large part of the largest fires in the past 20 years were under these extreme conditions. Additionally, both burned area and fire number only decreased under non-high-temperature days in the study period and not under high-temperature conditions. We are appreciative to the University of Lleida for supporting this study through a partial grant to fund Adrian Cardil’s Ph.D. studies.